Nia Wilson (right) died after being stabbed at the MacArthur BART station in Oakland. BART officials have identified the suspect as John Lee Cowell (left). The man charged with stabbing and killing 18-year-old Nia Wilson on an Oakland BART platform is expected to appear in court Friday. John Lee Cowell is scheduled to enter a plea. He is accused of attacking Wilson and her sister at the MacArthur BART station in July. Cowell also faces an attempted murder charge for stabbing Wilson's sister, who survived. Video surveillance at the MacArthur station shows Cowell stabbing the two Wilson sisters and then running off, BART police Officer Russell Medeiros wrote in a probable cause statement that was filed when Cowell was charged. 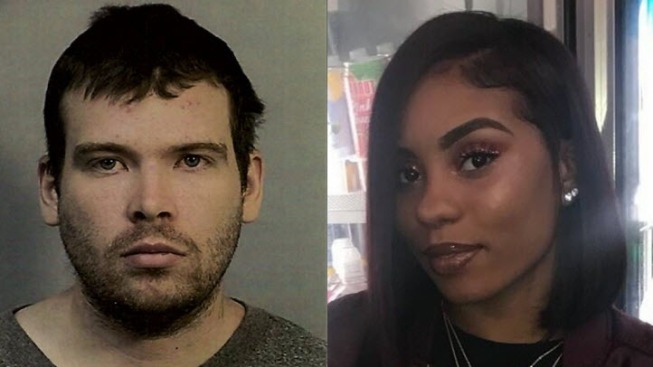 Alameda County prosecutors said Wednesday that they've added a special circumstance allegation of lying in wait to the murder charge that a 27-year-old transient faces for the fatal stabbing of 18-year-old Nia Wilson. Pete Suratos reports. Cowell discarded a backpack and his sweatshirt at the parking structure at the station and when officers recovered it they found several items with his name and date of birth, Medeiros said. Acting on a tip from a passenger, BART police arrested Cowell at the Pleasant Hill station the night after Wilson was fatally stabbed. Cowell's family said in a statement after he was arrested that he's suffered from mental illness most of his life and has been diagnosed with bipolar disorder and schizophrenia. Alameda County District Attorney Nancy O'Malley said after Cowell was arraigned on July 25 that her office is prosecuting Cowell as a three-strikes defendant because he has two prior felony convictions in Contra Costa County, one for second-degree robbery on Oct. 12, 2016, and one for assault with a deadly weapon on May 25, 2012. Many black community leaders have said that the District Attorney's Office should consider charging Cowell, who's white, with a hate crime for allegedly killing Wilson, who was black, but thus far prosecutors haven't found evidence that would support that enhancement.